About four years after Sana Javeri Kadri moved to the United States to attend Pomona College, she noticed something odd. Turmeric—that golden-yellow spice native to Javeri Kadri’s home country, India—was suddenly everywhere, from lattes to crackers to chocolate. And she had a sneaking suspicion that the people actually growing it weren’t the ones profiting from turmeric’s popularity. She was right. The modern spice trade is still heavily shaped by its colonialist origins. Farmers in the global South still earn pennies per pound to grow commodity spices, which US–based spice wholesalers sell at astronomical markups. If turmeric was going to be a trend, she reasoned, she wanted Indian farmers to make as much money off of that trend as possible. That’s how, in August 2017, then 23-year-old Javeri Kadri founded Diaspora Co. 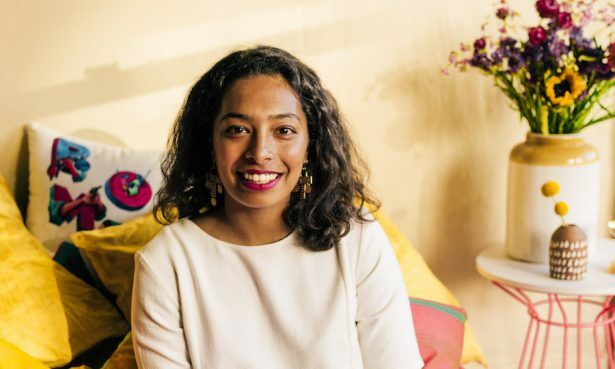 Her Oakland-based company seeks to decolonize the spice industry through direct trade and transparency, one turmeric latte at a time. Staring down the history-shaping beast that is the spice industry is no easy feat, and Javeri Kadri’s life has been a crash course in business ownership ever since. Thankfully, there was some precedent for what she was trying to do. Like spices, coffee and chocolate are both predominantly grown in the global South. Until recently, they were also untraceable, unremarkable commodity crops. Origin-specific sourcing and direct trade have changed people’s perceptions of what coffee and cocoa can taste like. They’ve also helped farmers to receive a modicum of recognition and compensation for growing the world’s favorite foods, though Javeri Kadri notes that there’s still a long way to go. Javeri Kadri’s deep dive into Indian turmeric production brought her to the Indian Institute of Spice Research in Kerala. It was there that she learned about Pragati turmeric, an heirloom cultivar with a high curcumin content and a short growing season. It’s the best turmeric in the world, but in an industry dominated by cheap commodity production, nobody wanted to buy it. Except for her. For the past two growing seasons Diaspora has had a direct purchasing relationship with Prabhu Kumar Kasaraneni, a farmer growing Pragati turmeric in northern Andhra Pradesh. Diaspora pays Mr. Prabhu $3.50 per kilogram of his turmeric, about 10 times the average market price. Diaspora’s turmeric costs more than commodity, but they’ve found an audience selling directly to consumers and to mission-driven businesses who believe in what they do. Not only is she open and transparent about her purchasing relationships, Javeri Kadri has intentionally centered her personal story as part of Diaspora’s identity. As a young, queer woman of color, she knows her visibility as a business owner matters. This entry was posted in Meet the Makers and tagged India, spices, turmeric.